Various vehicles; Odessa Security, which I placed the decals on the vehicle and Excel Design Build, which I originally done the logo and have worked on various vehicles of theirs. 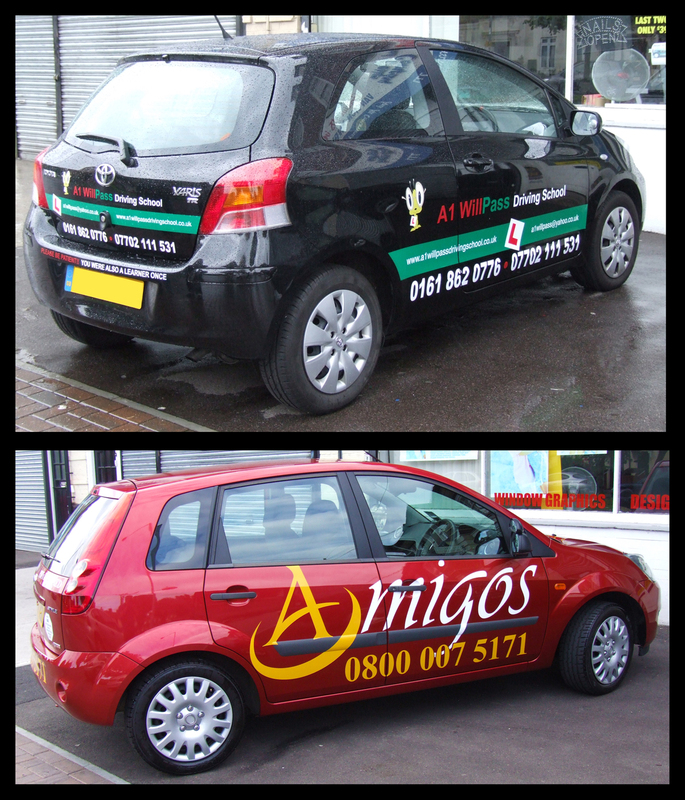 We get quite a few driving school cars come to us, and it does seem to be an ever expanding industry. Here are two that I have worked on and done designs for. A1 will pass has to be a firm favourite, purely for the little alien/ant thing. A little bit of an eccentric vehicle this next one, a camper van, with pink and purple stripes. A little embarrassing to work on outside the shop on this. Took 3 days overall to get this completed, mainly due to the amount of cleaning that needed to be done prior to application. Neon signs which were produced for a low budget film called “Dead Cert” where gangsters and vampires star side by side. 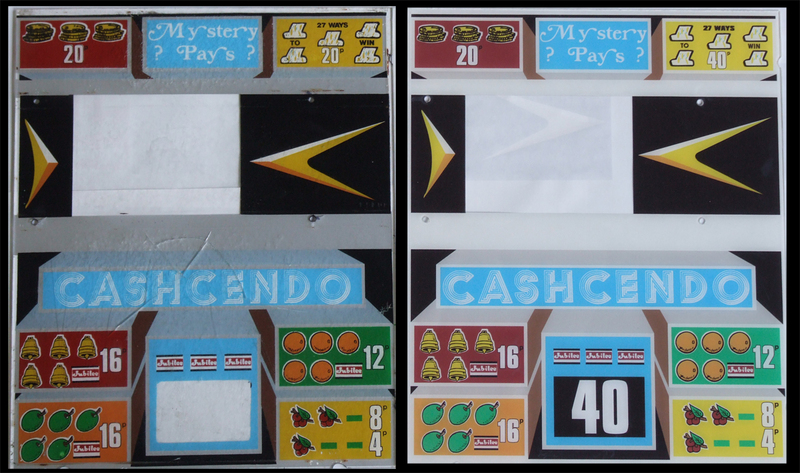 A recreation I done of an old fruit machine cover that someone wanted to look similar to the original. Original on left my version on right. 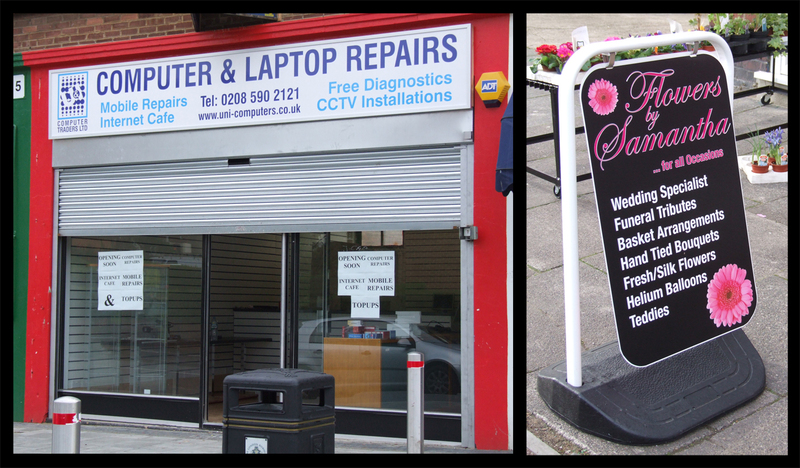 And now just the first shop sign I went out and installed way back in 2007 and next to it a pavement sign for a flower shop in Dagenham. I have tried to get a variety of different things I have worked on at the shop over the years. Some came from way back 2007 and others fairly recently in 2010.
its good that your job sort of relates to what you want to do as a final project. I remember that camper van took you ages.